In the aftermath of the Marjory Stoneman Douglas High School shooting in Parkland, Florida, that took at least 17 lives and injured at least 14 others, students and activists have organized two major national events: the National School Walkout on March 14 and the March for Our Lives on March 24 to Washington D.C. Both events focus on telling Trump and congressmen that “Enough is Enough”, sounding very much like the millions of people who chanted at Egypt’s Tahrir Square seven years ago, toppling 30 years of dictatorship. There are as many guns as people in this country, however most of the violence is committed against people, not the government. In Egypt where I grew up in the 60’s, I hardily saw a gun, even in my military service, most of the violence actually committed by the government. Egyptians had the political well to revolt and topple governments without guns, the Arab Spring coming to mind. Gun lovers ironically hate government restrictions and interference, but support police brutality against blacks, as well as our military violence against color people abroad. In schools in Egypt where I grew up, violence was only limited to fist fights and arm wrestling. Teachers didn’t have guns in my school, but they had access to another weapon, whipping sticks of their choice, wilfully using them; and they were painful. At school, the most terrifying thing for students wasn’t guns, it was the type and shape of the teachers’ whipping sticks. At the beginning of class year, each teacher (all males) came to our classrooms flashing their sticks in front of classroom, a warning for what to expect. Teachers’ whipping sticks came in all forms and shapes, based on teachers’ brutalities and personalities; a slick tree branch, an abandoned piece of wood, a measurement ruler to a more elaborate leather covered one. 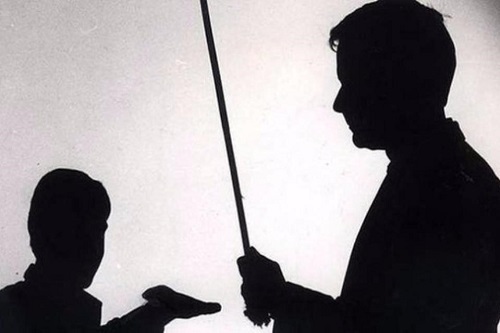 Some teachers even gave their sticks nicknames, always a feminist name “elGaladah, el-lahloobah, Zainab, Azizah, and Mahroosha, etc.” There was one clear character trait about your teacher that decided the level of your school year misery index; the kind of whipping stick in his hands. The stick was an extension of the teacher’s power and authority. Teachers weren’t just our educators, they were also our moral cops,and disciplinarians. As a youngster, I was a privileged student, my family running the only school in the village. I therefore owned the whole school chain of command; the general headmaster was my grandfather, principle my dad, most of the teachers relatives. Students looked at me with suspicion, never completely trusting me. I had to behave, speak and dress properly, a price you paid for being the son of the principle. I tried to avoid trouble at all costs, never complained and minded my own business. Every morning in the school yard, an out of town teacher led the morning flag salute ceremony, students lining up to honor the flag and chanting the national anthem, at which point they were then dismissed to the classrooms. The out of town teacher, not so versed on our village costume and economic standing, where wearing shoes was looked on as a luxury or unpractical city dress code, instead thought otherwise. Bare foot students for him were gangster and troublemakers. He was determined to do something about it and teach those students a listen. Every morning he announced on the public speaker the most humiliating morning announcement: “Those scumbags, who aren’t wearing their shoes, should stay in the school yard for further discipline.” In the cold morning shivering underdressed bare foot students awaited their unavoidable fate. After a plethora of curses lecturing on family manners, the teacher walked around checking each student’s feet, then asking each violator to step out, extend his hands, and beat them with his whipping stick. After the teacher satisfied his narcissistic thirst, he left students in the school yard alone to lick their own humiliation for the rest of the day. My persistent complaints attempts to tell my dad fell on deaf ears, him having more pressing issues to deal with, like making sure the classrooms had enough supplies, lights, and teachers. Running a village school is like running a city council whereby you are responsible for all the village problems. I decided to take the matter into my own hands and to take a stand, confronting the teacher’s morning transgression. I had my plot drafted, what if I came to school barefoot and joined those unfortunate students? For the son of the principle, to walk barefoot in public, let alone in school, almost a wardrobe malfunction, shoes with their impracticability on the dusty village roads, still the proper thing to do for the principle’s son. On a cold morning I left the house as I always did, dressed properly, white shirt, shorts and my beloved shoes. This allowed me to pass the family’s dress inspection. I walked to school through the villagers’ piercing eyes, everyone in the village knew the principle’s son. I walked to school, located on the outskirts of the village by the rice fields, and quietly took my shoes off and hid them inside nearby bushes and sneaked into the schoolyard where students congregated for the flag salute and national anthem. Then came the shoe wearing rule announcement, “any student not wearing his shoes, should stay in school grounds,” screamed the city teacher. I was ready, I was motivated, I stood my ground, I stood in the middle of the violators’ student line. Students started wondering about my bare feet, some were too occupied with their own painful fate, as the teacher went on his sadistic punishing routine, cursing and beating each student on their extended hands, unaware of my presence in the middle of the firing line. I stood as calm as a young student could muster, waiting for my fate and also for the teacher’s fate. As the sound of whipping stick striking the flushes of students’ bare hands got closer, my heart started pounding in my chest, sending warning of the gravity of the situation, my face motionless and my feet anxious. The shoe inspector teacher never looked at students’ faces as he was marching on the beating trail. I was next in the beating trail, the other students were interested to see how this confrontation was going to pan out. The teacher then noticed my presence, showing a troubled look on his face, presenting him with a moral and personal dilemma. All the students were watching. Cursing or beating the son of the principle was a rarity in my school, have I mentioned that I was a privileged student?! The teacher looked at me realizing the gravity of the situation, put his stick down, and quietly walked away serenading in defeat! I was the school hero that day! Not because I was the son of the school’s principle, but because I was son of the whole village. Sometimes, it takes a child to raise a village. 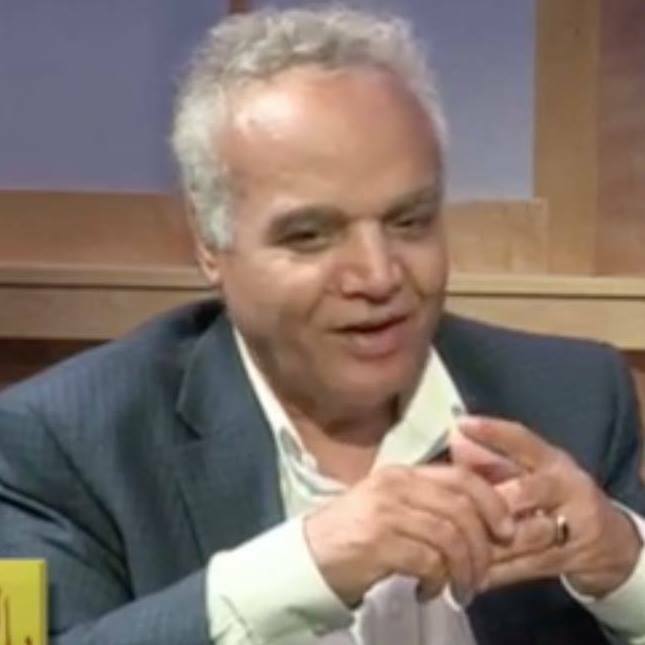 Ahmed Tharwat is the Producer and Host of the Arab-American TV showBelAhdan. His articles are published in national and international publications. He blogs at Notes from America,www.ahmediatv.comand his articles appear in national and international publications. Follow him on Twitter@AhmediaTV.